The Sandy Hook Foundation presents its annual fond farewell to the season of summer concerts and activities on the Hook, with some of the area’s finest restaurants and caterers doing their thing they do so well, plus live music and auction items offered by a selection of local merchants. Proceeds support restoration, maintenance and education projects of the National Park Service. Party entrance is at the North Beach Pavilion near the Fort Hancock area; please call the Foundation office at 732-291-7733 or e-mail shfinc@monmouth.com if you are interested in going. 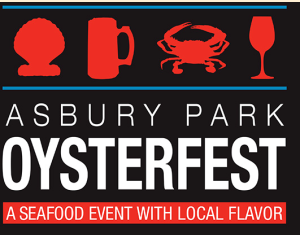 Asbury Park Oysterfest is one of Monmouth County’s flagship festivals; a 3-day event that promises to be the ultimate end-of-summer experience for oysters, fun festival foods, live music, children’s amusements, over 75 crafters and vendors, beer, wine and even signature sodas. The festival runs Friday, September 5th from 5:00 p.m. to 10:00 p.m. Saturday, September 6th from noon to 10:00 p.m. and Sunday, September 7th, from noon to 6:00 p.m. This year’s event will be held just outside the iconic Carousel building where the downtown meets the Asbury Park waterfront. 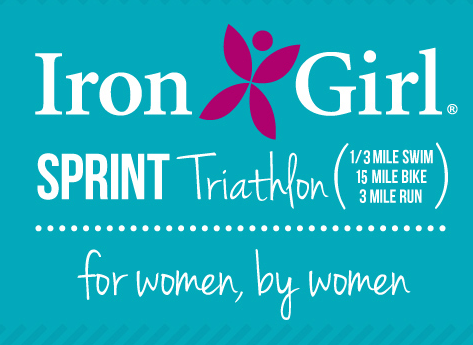 The Iron Girl event series is an opportunity for women of all ages to come together as a community. To be fit, to be healthy, and to celebrate the joy of living well – that is the Iron Girl lifestyle. We invite you to join us at one of our fun and inspirational events in 2014! The Atlantic Highlands Historical Society will be holding its annual outdoor flea market on Saturday September 13th from 10AM until 4PM. at the Atlantic Highlands Marina. Rain date Sept. 20h. Our Annual Flea Market features many antiques, collectibles, as well as crafts, new merchandise and those second time around goodies one and all can use. A variety of household items, furniture, jewelry, tools, toys, clothing, bottles, books, postcards, fishing equipment, old and new, and lots more. If you can name it, it will probably be there. There will be something for everyone. All are welcome, please join us on Saturday to socialize with friends and neighbors and enjoy some good food. Spaghetti Dinner, Saturday, September 6th. 4-7pm at the VFW Post 6902 331 Bay Ave. Donations $$$ or $10 Tickets may be purchased from …. Please come out and join us in support of our candidates and don’t forget to vote on Tuesday, November 4th.